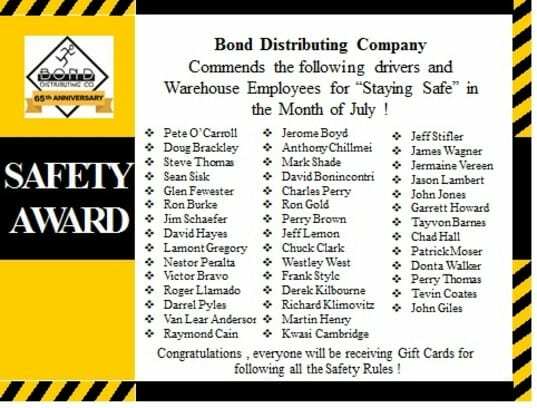 Bond Distributing Company is commited to safe workplace . 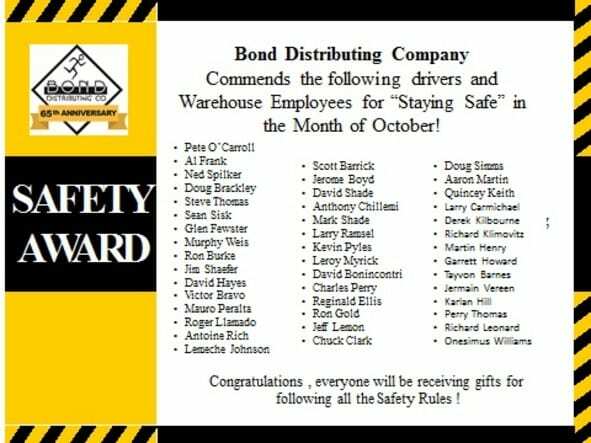 Each month we recognize individuals that drive a specific period of time or miles without a preventable motor vehicle collision. 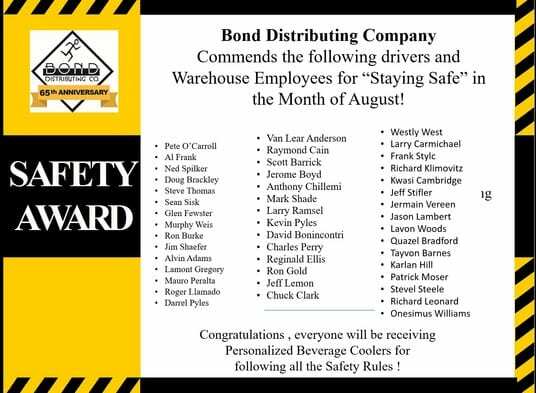 We commend the following drivers and warehouse employees for staying safe. Everyone will be receiving gifts for following all the safety rules.